The web seminar will cover changes to patent law in Europe and the implications for applicants and patent owners. Our panel of speakers will address the recently implemented new rules at the European Patent Office, as well as discussing the latest Boards of Appeal and national patent cases. The web seminar will be of great value to anyone who wants to develop a more effective patent prosecution strategy in Europe, including in-house IP counsel, European and overseas patent attorneys and lawyers and students and trainees. 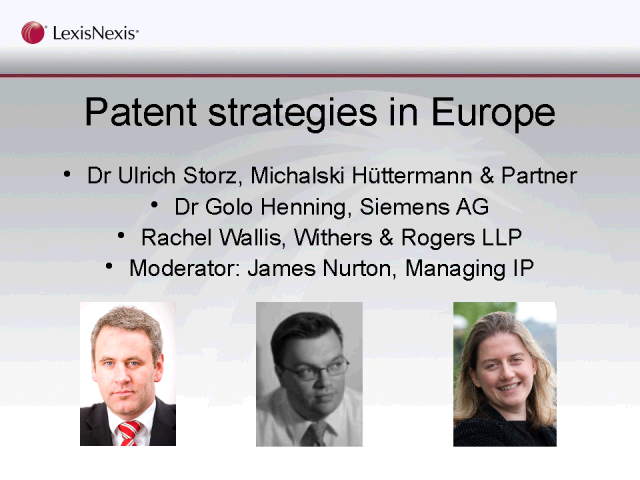 Speakers include Golo Henning of Siemens AG and Ulrich Storz of Michalski Huettermann & Partner Patent Attorneys.